It has been established that starting and owning a hair salon provides an easy way to becoming a successful entrepreneur. And to get filthy rich. This is true, at least in theory. 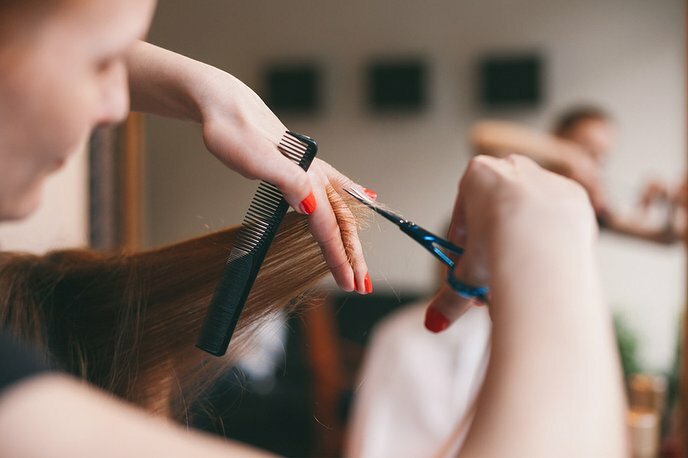 The beauty market is over-saturated, meaning that you have to be a little bit more innovative than the competition to convince clients to keep coming back to your hair salon. What can a hair stylist do to stand out from the crowd? Well, if you want to boost hair salon profits, you’ll be glad to know that there are many things you can do. Like what, exactly? Here are a couple of ideas for you. The simplest way to strengthen your business is to upgrade to salon booking software. One of the most common questions that independent hair stylists face is whether or not they should utilize a salon booking system. If you are still using Microsoft Excel for appointment scheduling, it is time to make the transition to hair salon software. Booking becomes really simple for you, being able to schedule meetings utilizing the calendar within the app. The great thing is that you can quickly check availability and you get seamless upgrades on your device, whether it’s a smartphone or the computer. Salon software can help you save a lot of money. You do not have to hire an assistant to help you out with phone calls and scheduling clients. You can do that on your own. What you want is for your clients to recommend you to their friends and family. Ideally, people should tell each other about your service. But what if that does not happen? Then you will have to encourage customers to refer you. Simply put, you have to reward them for this kind of activity. You can do that with the help of discounts or free consultations. Any kind of incentive will do, really. What you have to keep in mind is that client referrals are paramount. Clients can make or break the success of your business, hence, having your own referral program is important. If you don’t want short-term relationships, then you should better pay attention to the level of service that you are providing your customers. At present, people want and even expect you to be consistent. If you are not able to meet their requirements, then do not be surprised if customers lose confidence in you. People choose your hair salon for your skills and the comfort that you are capable of ensuring. In other words, your business has to be a reliable one. Even if right now you are not a corporation, you have to act like one and maintain consistency, no matter if what you are doing is cutting hair or marketing your beauty salon. What do you think about these tips? Try them and let us know if you have managed to boost revenue for your hair salon.